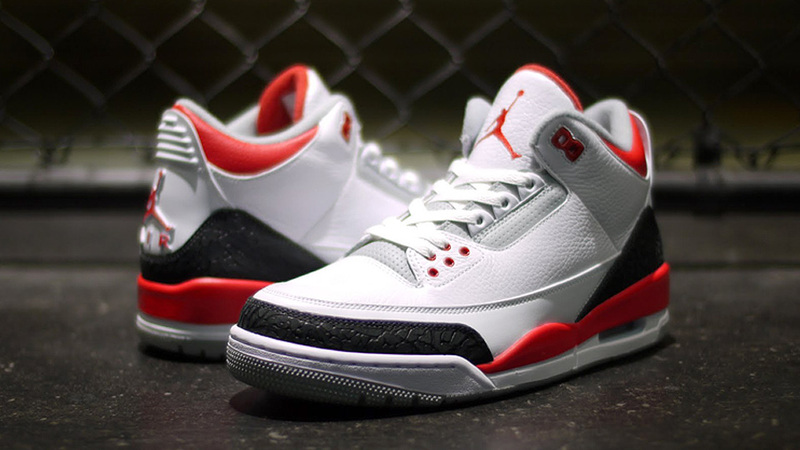 The classic "Fire Red" Air Jordan 3 Retro returns this weekend, six years after its last retail release. 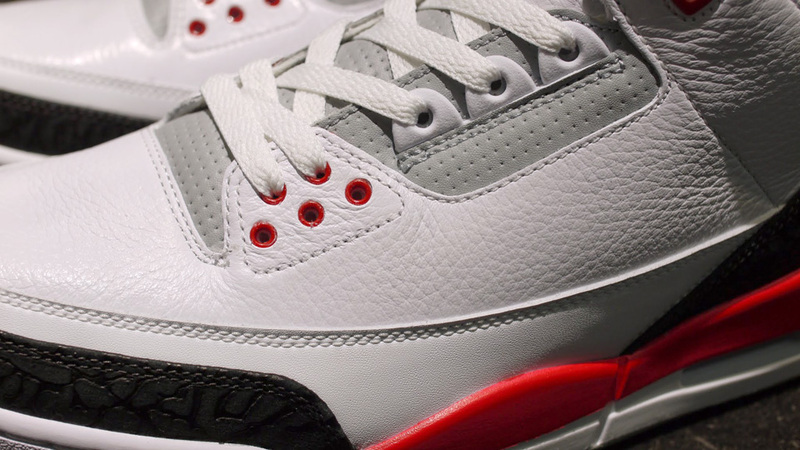 The classic "Fire Red" Air Jordan 3 Retro returns this weekend, six years after its last retail release. 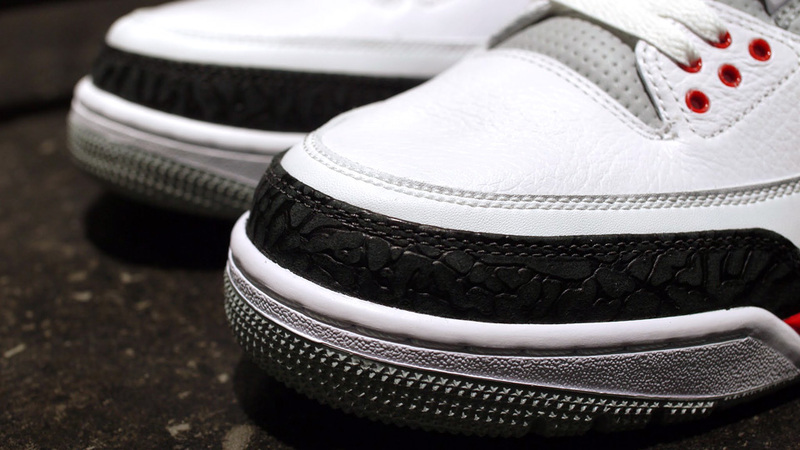 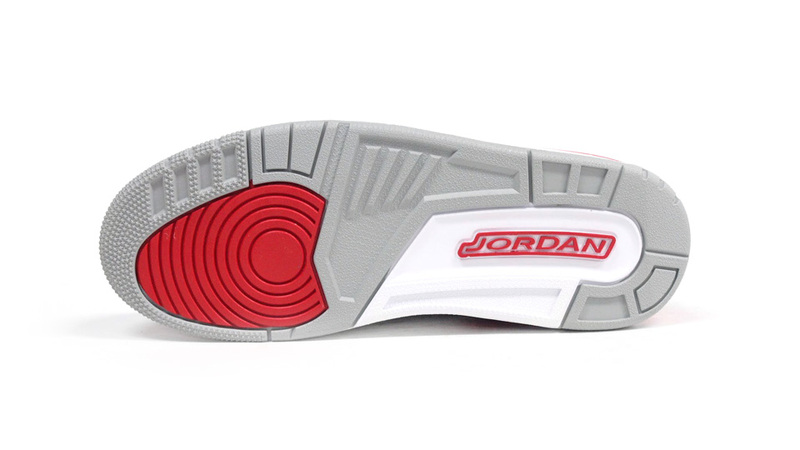 The White / Fire Red / Silver / Black colorway features a white leather upper with black elephant print overlays, all set off by fire red accents. 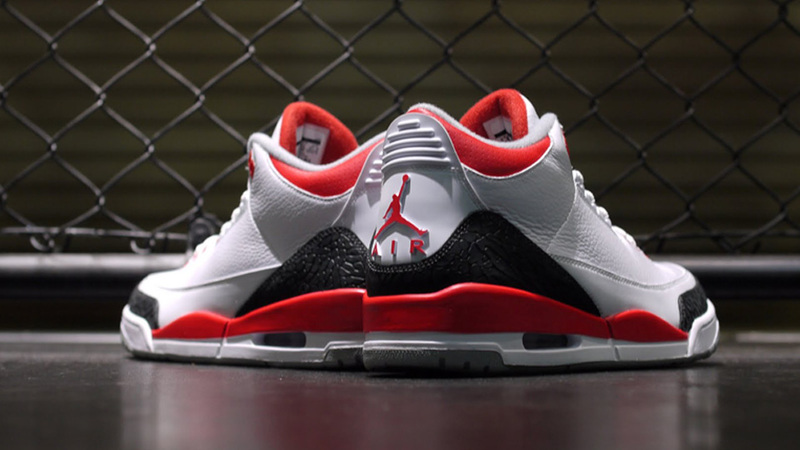 The "Fire Red" Jordan 3 Retro drops this Saturday, August 3 at Jordan Brand retailers. 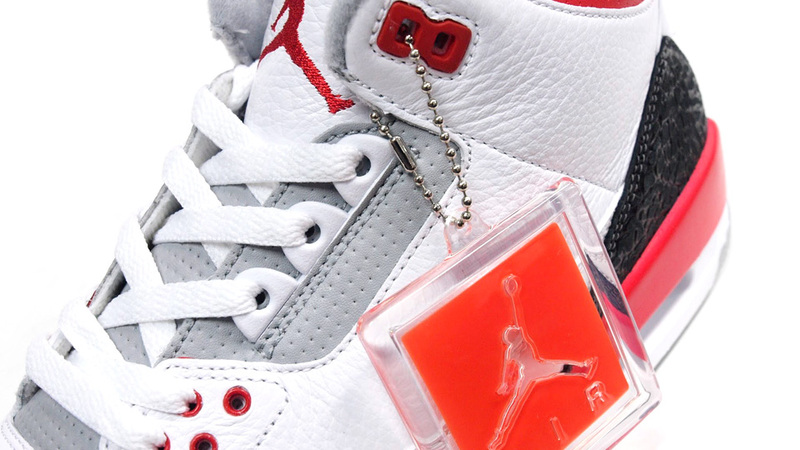 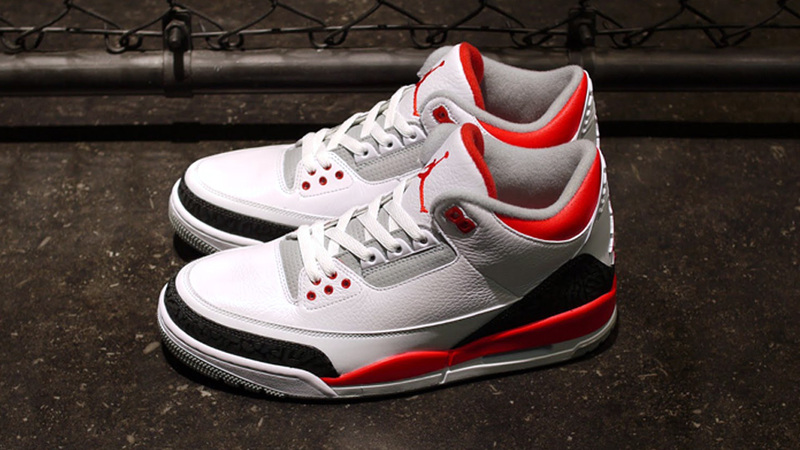 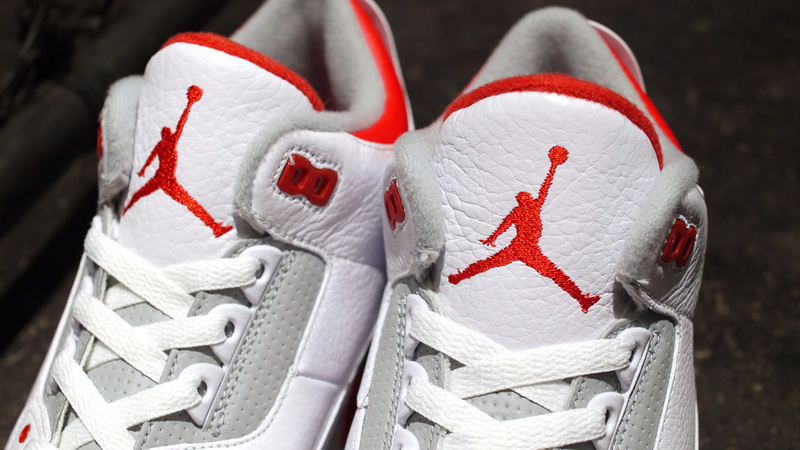 08/03/2013 Air Jordan 3 Retro "Fire Red"